A Grand Technical Exhibition by Engineering, Polytechnic, ITI & Matriculation Students. Event Date : 31 Jan & 1 Feb.
Tamil Nadu - 635 117. 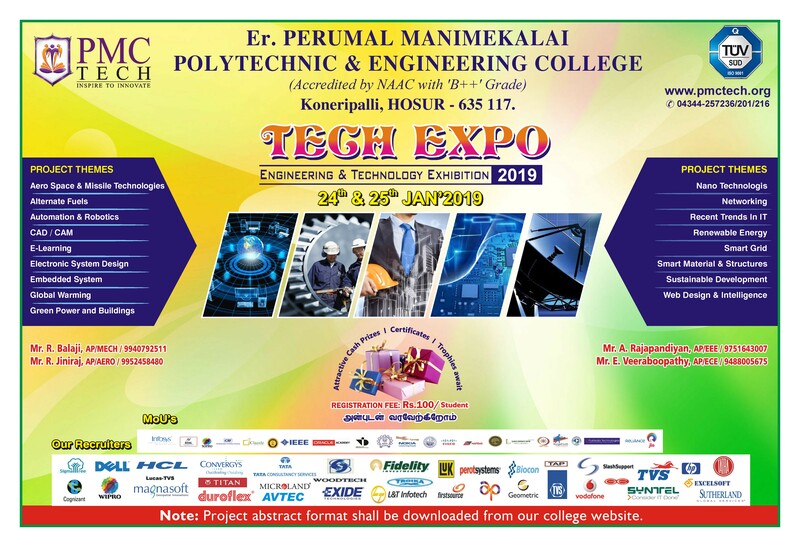 © Er.Perumal Manimekalai College of Engineering 2019 | All rights reserved.